We may assume that the price has completed an ascending zigzag pattern. There is a possibility that in the nearest future the pair may start an initial wave (1). One can consider opening additional sell orders after the price forms a bearish impulse. 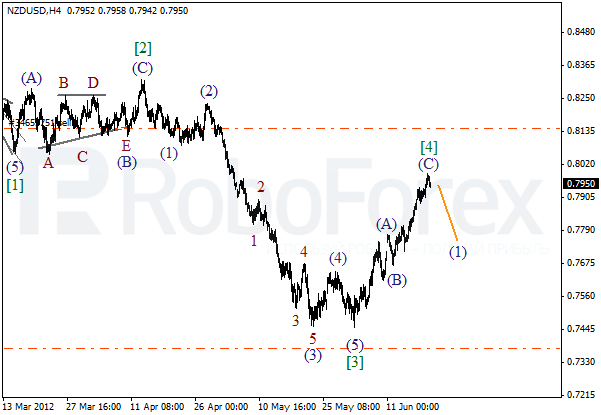 As we can see at the H1 chart, the price has finished an impulse inside wave (C). It looks like the market is making a reverse. Most likely, within the next several days the pair will start moving downwards and form wave 1. It looks like the price is finishing wave 2. 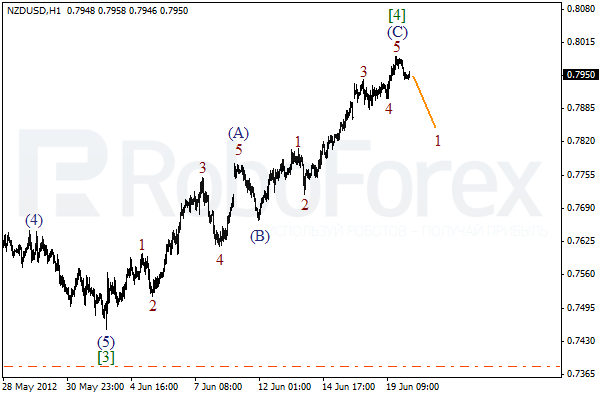 Earlier the pair completed zigzag pattern inside the fourth wave. The forecast remains the same. Most likely, the market will make a reverse downwards in the nearest future. More detailed wave structure is shown on the H1 chart. 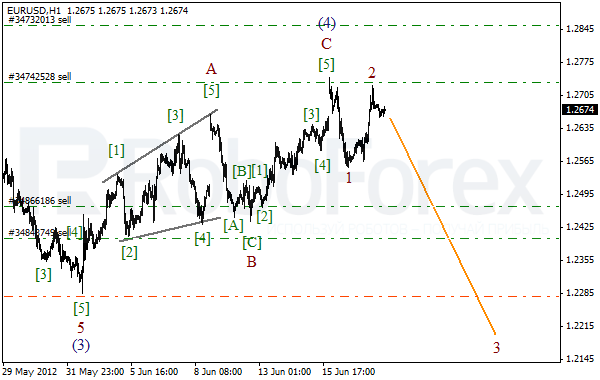 We may assume that the price has completed an ascending impulse in wave C of (4). 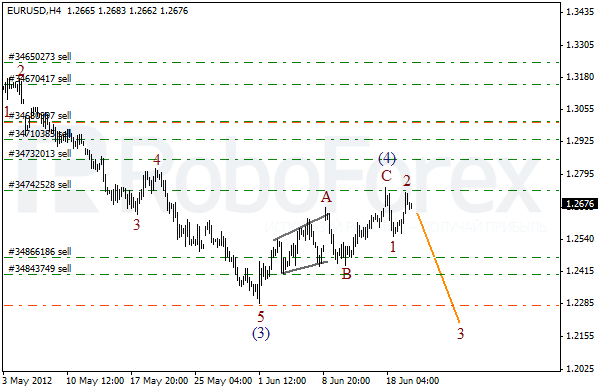 After the local correction is finished, we can expect the price to start forming a bearish wave 3.